There are an estimated 70,000 track miles in North America that are considered Dark Territory, or non-signaled lines. Operating in Dark Territory a reality for Class I’s, as well as the hundreds of regional and short line railroads throughout North America, and poses many challenges. Traditionally, track switching (from the mainline to a siding for example) has meant brining the train to a complete stop, existing the locomotive, manually throwing the switch into reverse, bringing the train through the siding, and the stopping again to return the switch to the normal position. With the obvious implications for efficiency and safety, Vossloh Signaling, Inc. has a better solution for switch control in Dark Territory; Failsafe Audible Signal - Power Assisted Switch, or FAS PAS. The patented FAS-PAS is a safe, cost effective mainline switch control solution for Dark Territory. 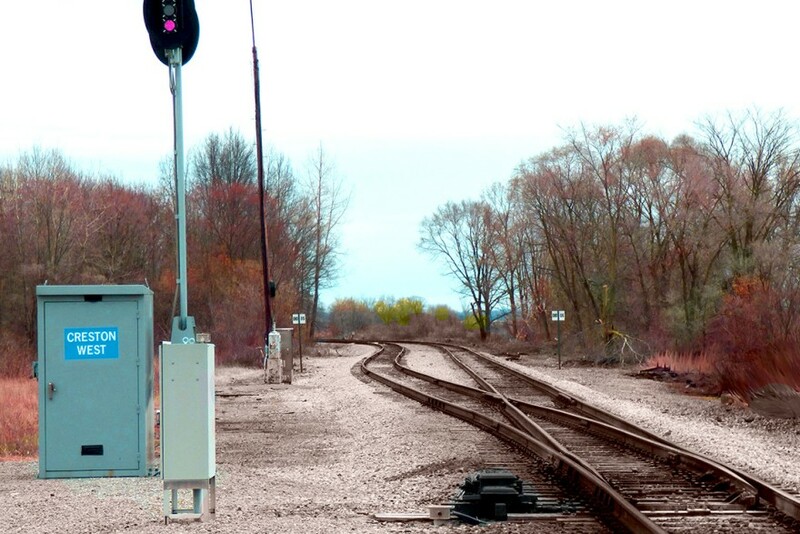 With FAS-PAS, the locomotive sends a request to query (or throw) the switch machine while on the approach, from up to two miles in advance of the siding. Once a request is made and the switch move is completed, the locomotive crew receives a vital audible message from the FAS-PAS notifying them that the switch is lined and locked for their requested move. The FAS-PAS system is designed to return the switch to the normal position within a predetermined amount of time. FAS-PAS can be purchased as a complete solution which includes the following sub-systems; vital radio message, switch machine, occupancy detection, switch point indication, control and housing unit. FAS-PAS sub-systems can also be offered individually to fit your existing infrastructure.